The death of both parents can be a devastating, life-changing event for minors or adult children. Having a sibling named as executor can either help smooth the process of settling your parents' estate, or create anxiety and challenges, depending on the family circumstances. Understanding the probate process and your rights as a child of the deceased can help minimize the conflicts during this difficult time. Probate is the legal process of settling the estate of a person who has recently died. Once a will is proved valid -- or, if two spouses died within a short time of each other -- a set of mutual wills is proved valid and delivered to the probate court, the court will appoint an executor to settle the estate. In some states, the executor is called a personal representative. With probate court supervision, the executor will gather and inventory the estate assets, manage assets like businesses or real estate, pay the debts of the estate, and ultimately, will distribute the estate's assets in accordance with the will or state law. The primary purpose of probate is to make sure that people who have a right to the estate's property receive their rightful property after the estate's debts are paid.If you are a named heir in your parents' wills, you have a right to be notified by the executor of the probate proceedings, and to receive any property that has been designated to them. Heirs also have a right to view the will once it is filed in probate court, and to review the inventory of assets and all accountings that the executor must file periodically in the probate court. This helps you be certain that the executor is doing his job appropriately. If you have been omitted from your parents' wills, you will not receive notice from the executor of the probate process, but you can still challenge the wills in probate court. If you were not included in the will by accident or because you were born after the wills were written, state-omitted child laws may help you successfully challenge the will and receive a statutorily designated portion of your parents' estate. You can also challenge your brother's administration of the estate if he fails to properly carry out his duties as executor. Executors have a duty of reasonable care in administering estate assets, and they must not divert estate assets to their personal use. If you are a minor when both your parents die, the probate court has the power to appoint a guardian ad litem to help protect your legal interests in the estate. If a guardian has been named for you in your parents' will, the court will likely defer to your parents' choice, and if you are an older teenager, the court may ask you to select a guardian ad litem for yourself. Court volunteers are appointed as guardians ad litem in many states. State laws vary on the specific rights of minors in probate proceedings, but your guardian ad litem will assist you in ensuring that your rights are enforced and that your brother appropriately administers the estate. 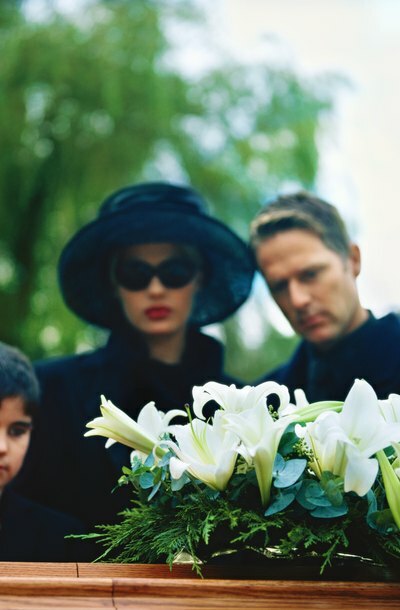 My Ex-Wife Is Deceased: Who Gets Custody of the Children? If your ex-wife wins custody of your children and subsequently passes away, the court will alter the current custody arrangement. Losing a parent is a traumatic experience for any child, and the court's goal in determining custody is to look out for the children's best interests and place them in a stable and loving home. The judge will take into consideration your relationship with the children and your ex-wife's wishes when assigning custody. Many adults do not have a will. Whether this results from an unwillingness to face the idea of death or from fear of exorbitant attorney fees, the consequences are severe. A person who dies intestate -- or without a will -- forfeits her opportunity to name who will inherit her assets. She also misses her chance to select an appropriate and trusted guardian for her minor children.